The last time I was in South Africa, I took my children to see a monument I had seen many times as a school-going child. I have posted on this unusual monument before (the architectural highlights, the voortrekker’s wagon, its unique characteristics, and its windows). In this post, I want to share with you some of the interesting displays that have been laid out for visitors to see in the basement of the building. 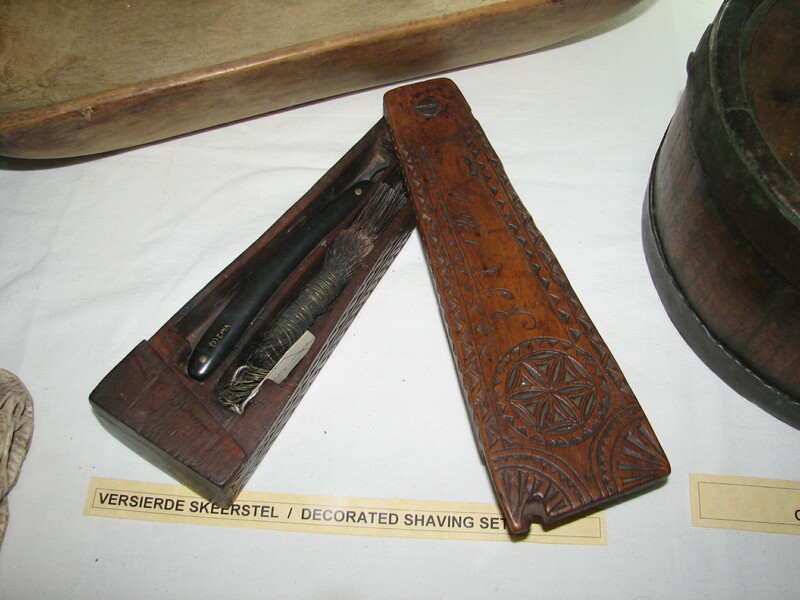 My children were impressed by the toys the voortrekker children used to play with. 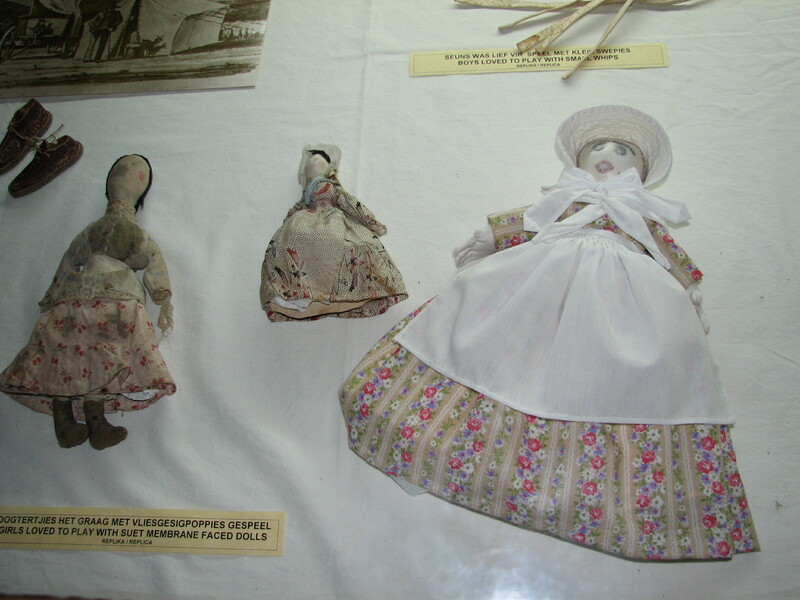 The girls used to play with hand-made dolls (shown above) and the boys used to take the jaw bones and teeth of animals that had been killed and pretend they were wagons and oxen (shown below). 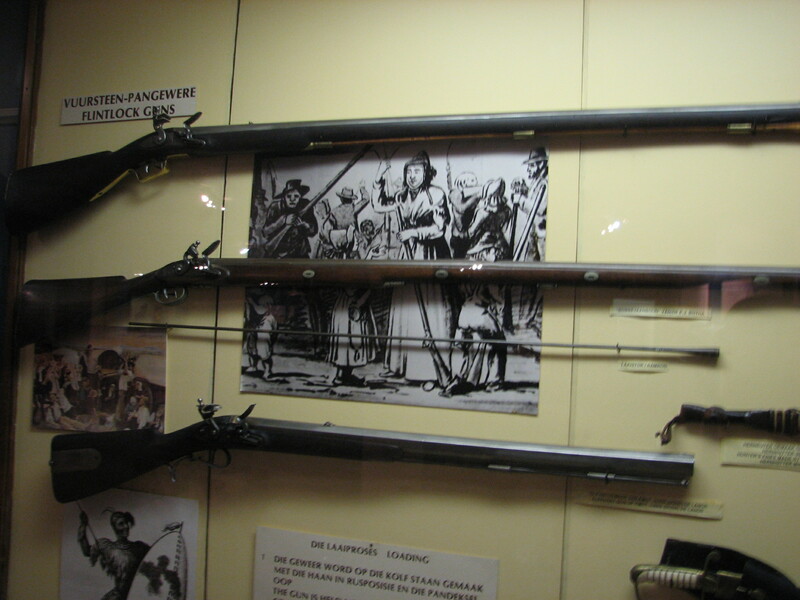 In the days of the voortrekkers, people used to use gunpowder in their guns. 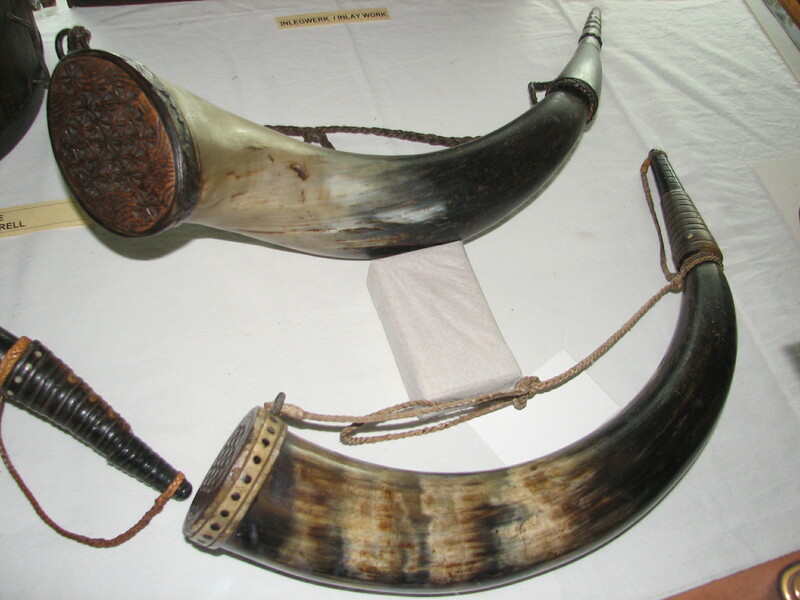 Hollowed out horns were used to store the gunpowder in. These were slung over the hunter’s shoulder. 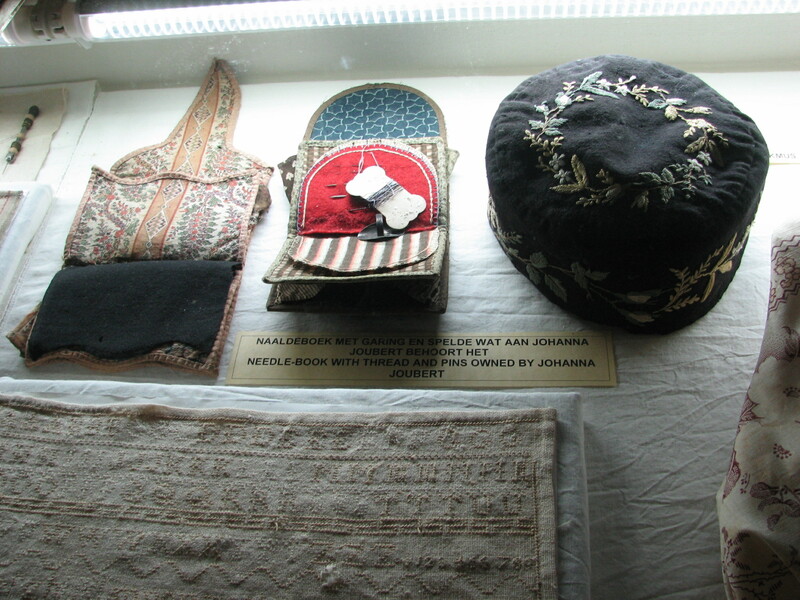 There was a display up showing us what the men and women wore during that time. My picture is a little fuzzy as the lighting in the basement is not very bright. 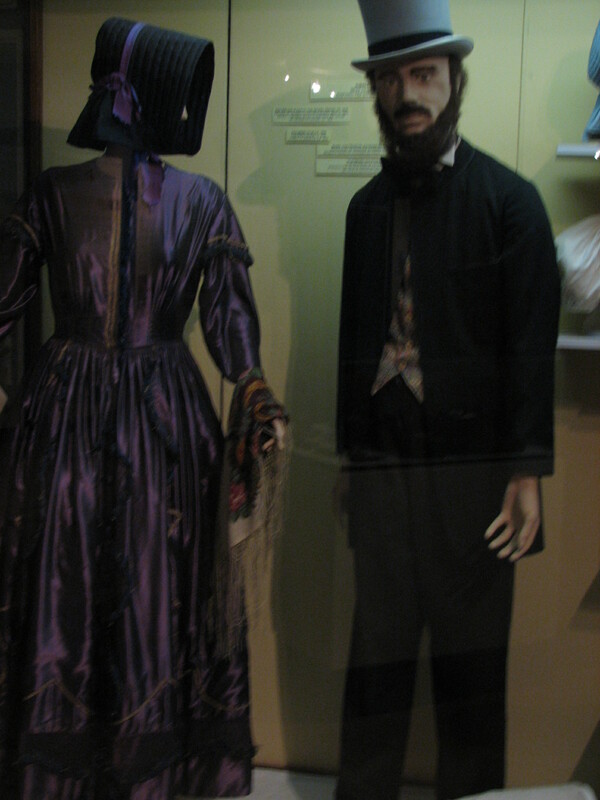 The picture, however, does give you an idea of the clothes they wore. 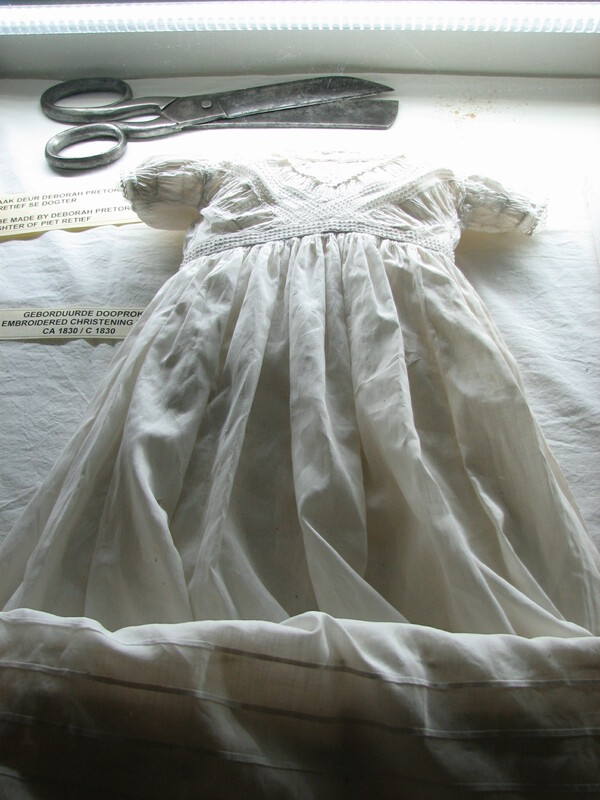 The ones pictured here would have been their Sunday best – the clothing they would have worn to go to church. 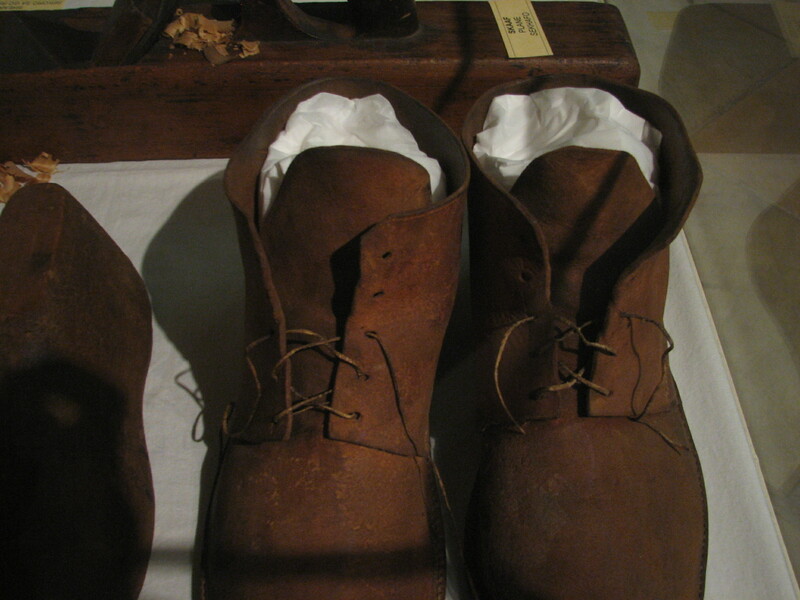 The men wore shoes (veldskoene) made from the hide of the animals they had killed for food. 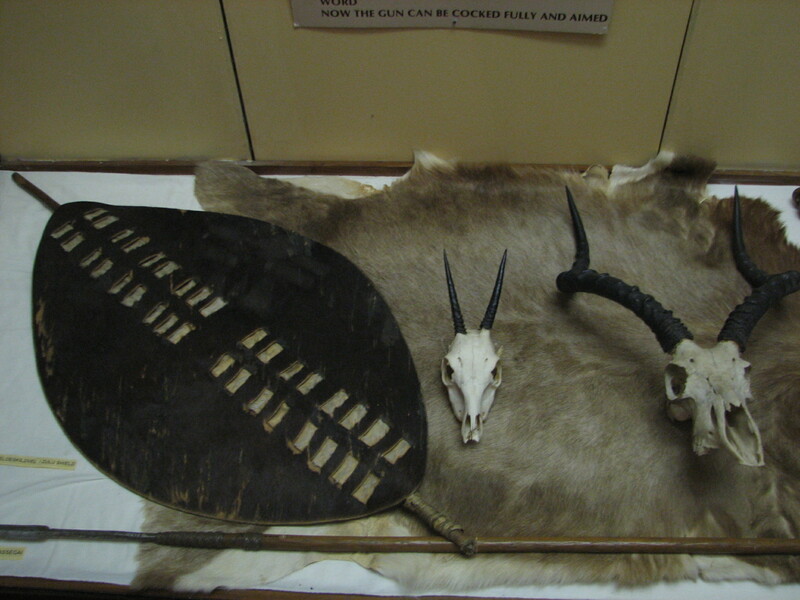 On display was also a Zulu shield, assegai (spear) and animal hide that the warriors would use in battle. We enjoyed strolling around in the basement and looking at these items. They helped to give us a sense of who the voortrekkers were. My children enjoyed their mini history lesson and came out of the monument asking many questions about the past. 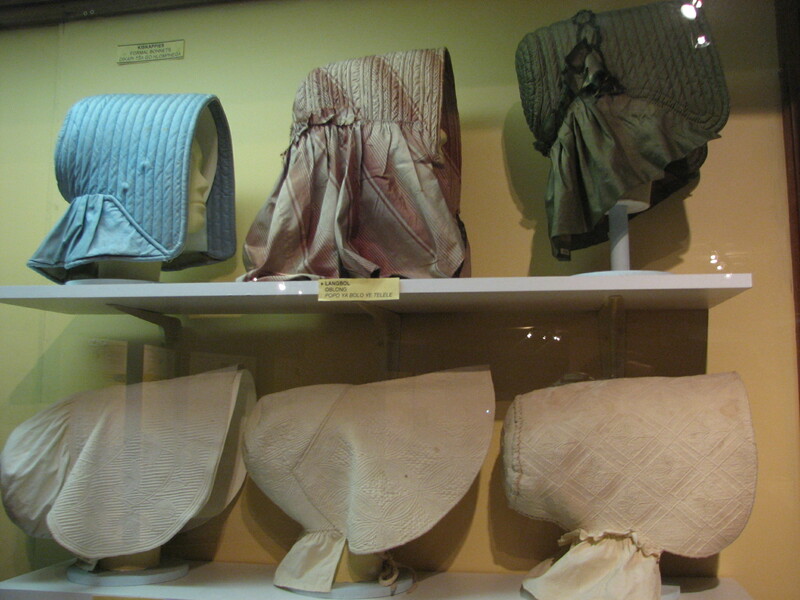 Do you enjoy visiting displays of the past? I did enjoy it Colline, thanks for the virtual visit. I am glad that you did Leanne. I always find displays such as these interesting. These are incredible! And the detail!!! I have to read it again as I wanted to browse through when I received your message. Thank you for sharing history and your family memories with me of adventure. Huge hugs. May I have permission to re-blog this? The thing I’m most enjoying about this week’s challenge is the view of so many different monuments from all over the world. I love that you are passing the respect for the past on to your children also Colline. Nicely done. I am enjoying all the monument visiting too Tina. I have seen views of places I never knew existed. I like sharing what I know of the past with my children. And visiting museums, etc, shows them that knowledge can be learned from not only books. I can see why your children were fascinated with this place. What a great collection of fabulous items to stimulate a child’s imagination. I adore that leather cover on that Bible. I am sure it was tanned and carved by the men. At that time, no part of the killed animal was wasted. Very nice. Enjoyed it very much. An adventure to remember always. That is what I am hoping it is for my children. I enjoyed every bit of this post and the photos. And how you captioned each one of them makes it more than just beautiful photos to look at. It’s one whole storybook. Thank you for sharing this Colline. How awesome! I learned much soaking up this post. and I like getting to know more about “period pieces” and antiques and so as I looked at the little labels next to some times it was really educational. also, I agree – the penmanship is exquisite! I appreciate when displays have labels and explanations next to them – it adds to the visit, I think, and you come away from the visit richer in knowledge. Definitely not. 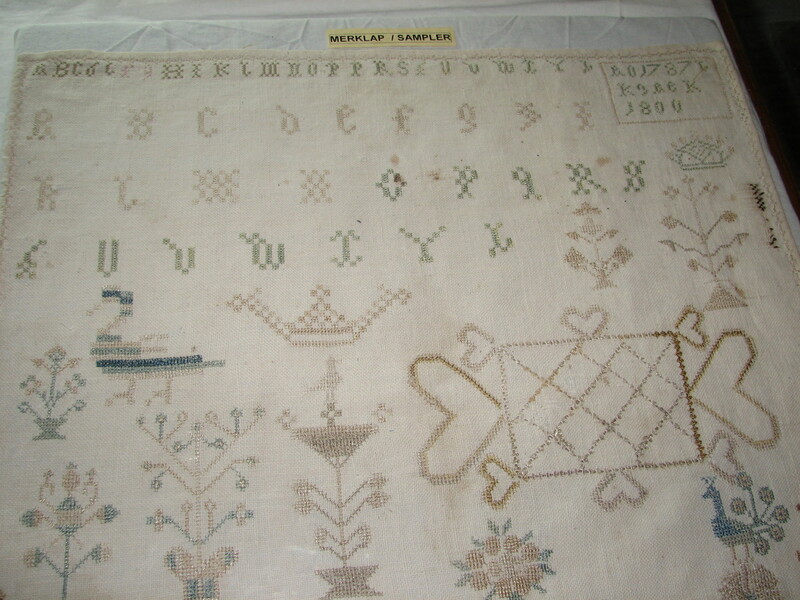 Take the sewing for example: each item of clothing was made by hand with fine stitches. Even their wagons were made by hand. I think that their life back then was a lot healthier than ours because they were so physical. What wonderful exhibits! That bible is exquisite! I loved it too. 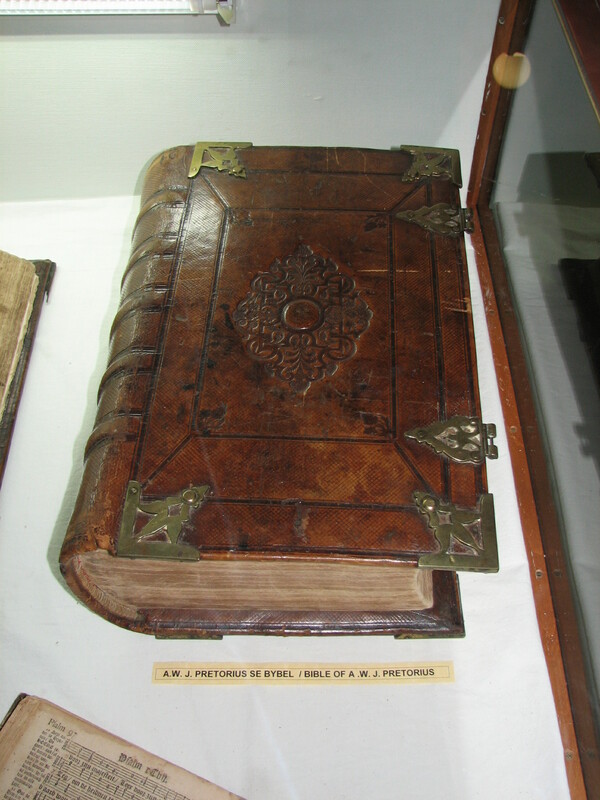 Leather-bound and extremely old. 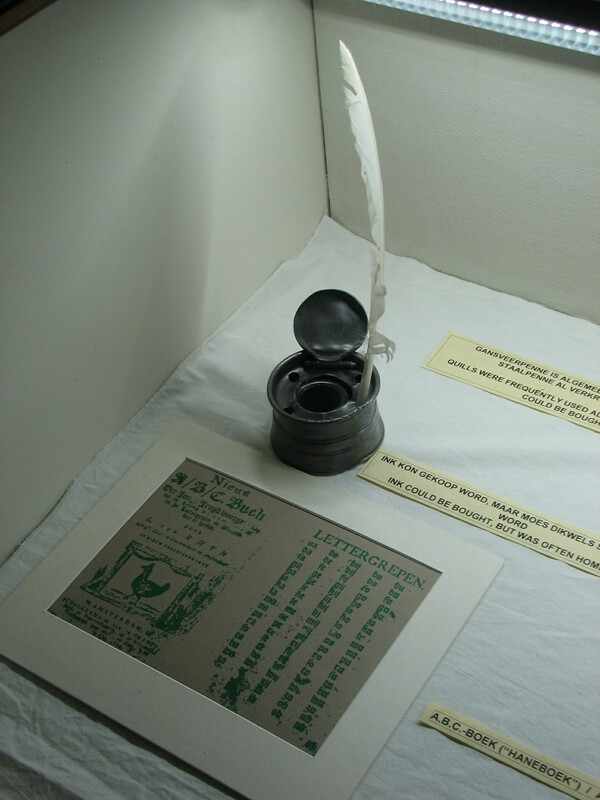 I am grateful to the person who donated it to the museum so that it could be put on display. It was an interesting and informative visit Nia. We spent a lot of time looking at the displays. This is just the kind of museum I love . An insight to peoples lives and their personal belongings beautifully displayed. So much to look at in your post Colline it’s a real delight . I was a bit worried that there were too many photos – but I was unable to discard any because the objects are interesting. I am glad to learn that you enjoyed looking at each one. Every time we are able to visit, we try to show them something of the country they were born in. It is important, I think, that they know. This is something they would not learn at the school they attend. Thanks for an interesting tour. 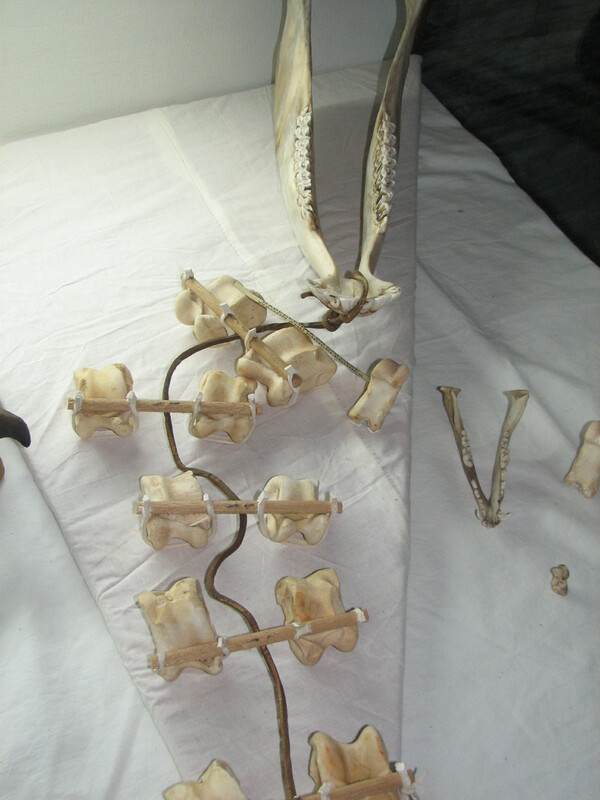 I’ve never seen bones being used for toys in that way, and everything looks to be in such good condition, even though it’s quite old. All the items on display were well looked after and have been well preserved. Even the clothing and the other personal items we saw. A very interesting post. The hats women wore to protect their face and neck from the sun make a lot of sense. They are so typical of the voortrekker women from that time. Thank you for the tour, Colline! What a great collections. The Bible is precious. 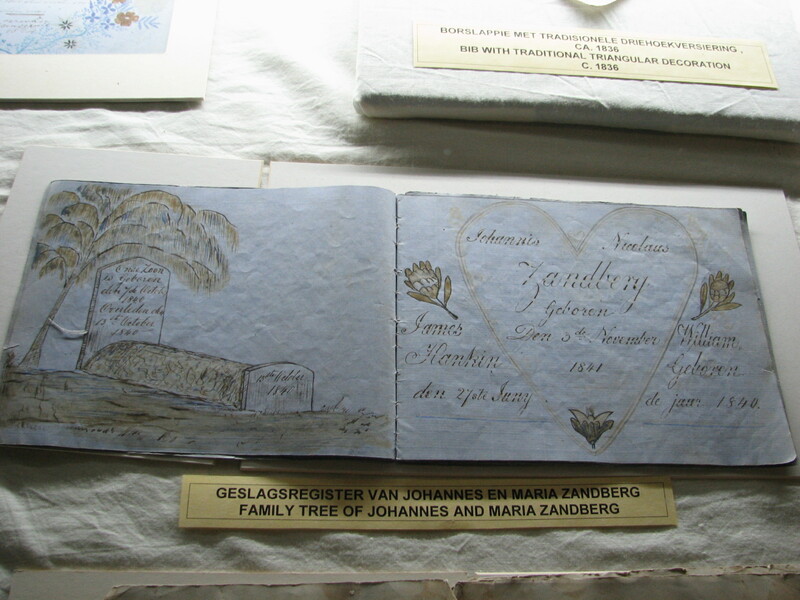 I am thankful that the family was willing to donate it to the museum so that we could see its beauty. Ok, so that was mega cool. Seeing things from another country/world is eye opening. I enjoy intricate details on things and found the shaving kit and was just awed. Thank you again for sharing your world with us. I feel like I am there as well. 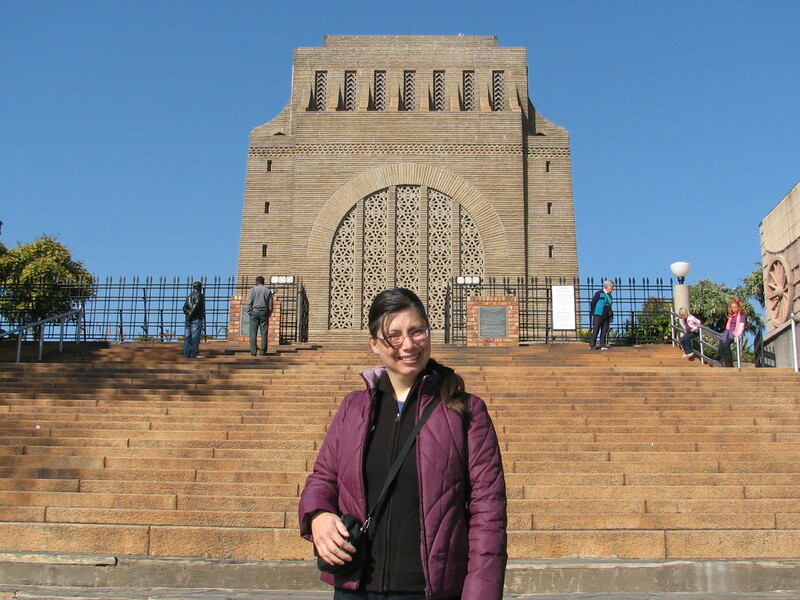 Did you ever have the opportunity to visit the Voortrekker monument? Yes, several times. I grew up outside Pretoria. We always passed the monument when going into the city. I went to school in Voortrekkerhoogte! Thanks, Colline, for taking us back to the monument. I find this kind of thing very interesting and am amazed to see how similar some of these artifacts are to those used by our own pioneers. That was one of my thoughts too. The Voortrekkers were of Dutch descent. From which European country did the pioneers come? They were from all over, Colline, some having been in the US for generations, while others came mostly from Europe. Cheap, if not free, land was the lure initially and then the California Gold Rush hit in 1849. People flocked to our West Coast. There were a few other smaller “rushes”, drawing people to Alaska and Nevada, for example. In 1869, the transcontinental railroad was completed and that was it. People left the crowded East Coast cities for the wide open West, much to the despair of the Native peoples. He gold rush also caused a lot of development in South Africa. Johannesburg was the fist town to go up around the gold sites. I enjoyed that very interesting and informative blog Colline. in the British film, The Zulus. I have not seen the film you mention Ian. The British are normally quite good at representing the past authentically in their films. A most interesting display. I wish some of my ancestors had left me a few of those. They probably never thought that those after them would appreciate what they saw as everyday objects. I know I don’t keep things, never thinking they may become antiques. The detailing in many of the items is beautiful. The hand carved leather and the embroidery is not to be duplicated in our modern times. I think not Darlene. People do not take the time these days to create something of long-lasting beauty such as this.